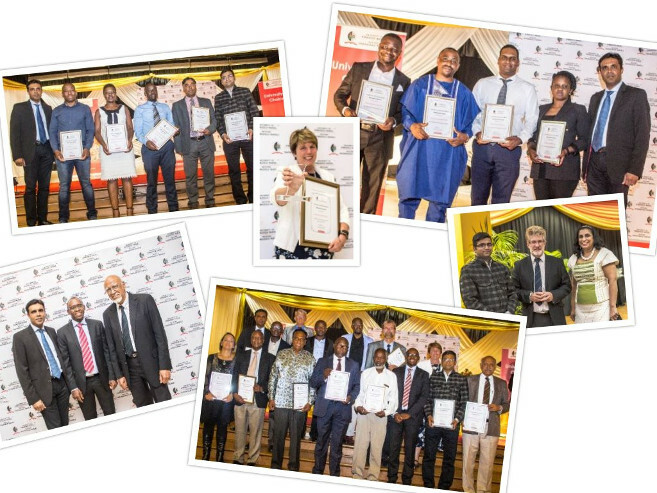 Top researchers at the University of KwaZulu-Natal (UKZN) were acknowledged at the annual Research Dinner on UKZN’s Westville campus. In his keynote address, CEO of the Council for Scientific and Industrial Research (CSIR), Dr Thulani Dlamini shared his thoughts on the critical role of inclusive innovation as a necessary element for sustainable growth and prosperity. ‘In the era of the fourth industrial revolution, where the drivers of competitiveness are changing rapidly, there is a need to rethink how emerging economies like ours will remain globally competitive,’ said Dlamini, who holds a number of patents. Deputy Vice-Chancellor for Research at the University, Professor Deresh Ramjugernath launched the Research Report and congratulated all the researchers featured in the publication. He acknowledged the research endeavours at the University and congratulated all the awardees recognised for their work done in 2017. Professor Mahmoud Soliman was named the Top Published Researcher. Professor Colleen Downs was the Top Published Female Researcher; and Dr Cynthia Chiang received the Vice-Chancellor’s award. The Top 30 Researchers, Top 10 Young Published Researchers and Top 5 Most Cited Researchers were some of the categories acknowledged at the gala event. Dean of Research Professor Urmilla Bob thanked all those who contributed to the success of the event and paid special tribute to the “highly productive” researchers at UKZN.